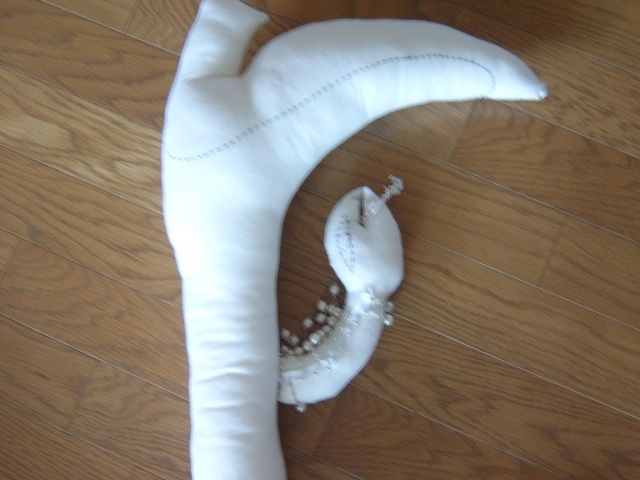 That is only the head of the whole body that I'm working on now. 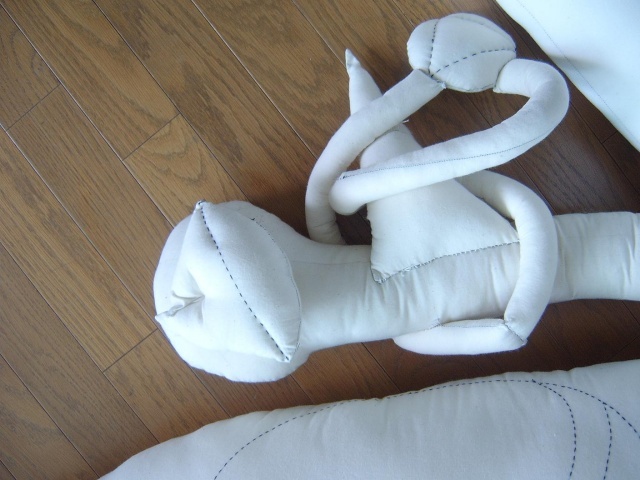 I'm small and my voice sounds like a baby, but I'm the most ambitious person in the world. 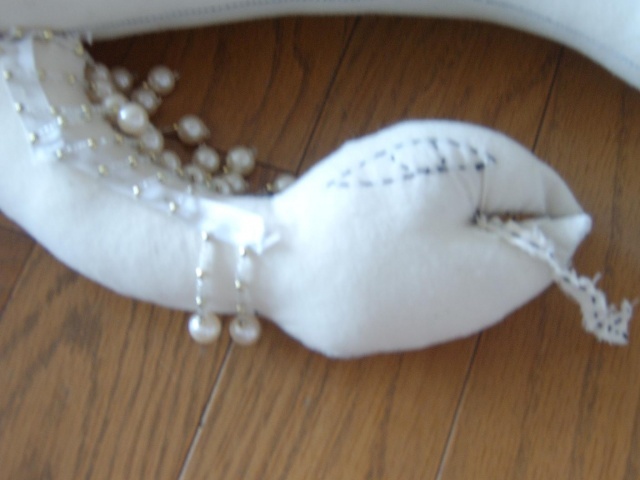 Even if God says he can give me the earth, I will not be satisfied with it. 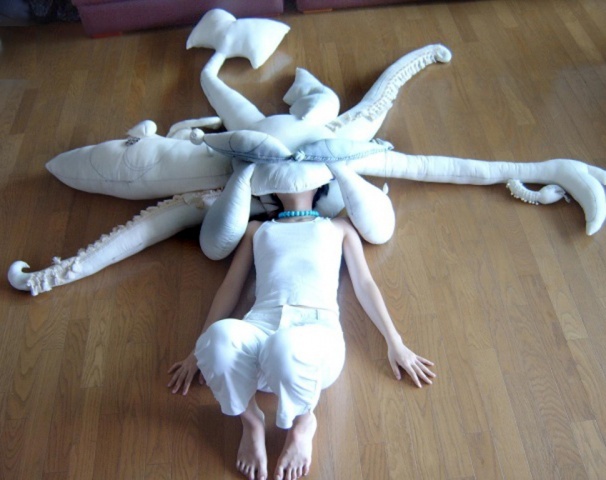 To fulfill desires much faster, I want to be a squid. 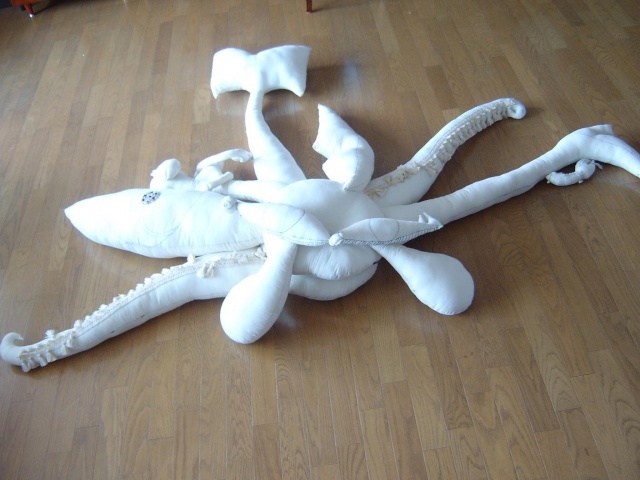 The squid has ten legs, which is much more than humans have, so it can catch what it desires to have faster than I can. 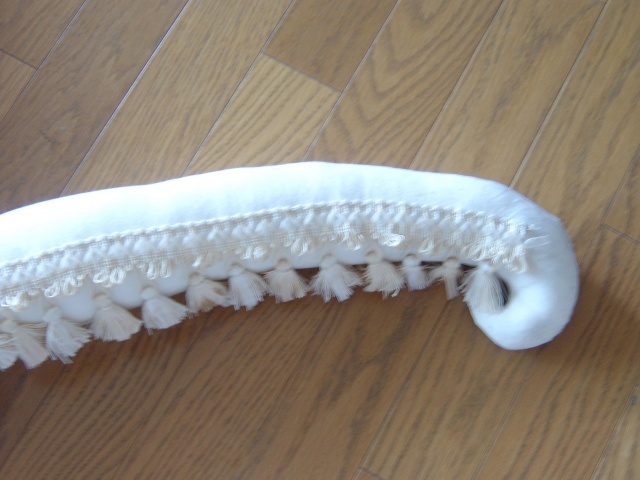 Also it has superb sucking disks that never let whatever it grasps escape freely. 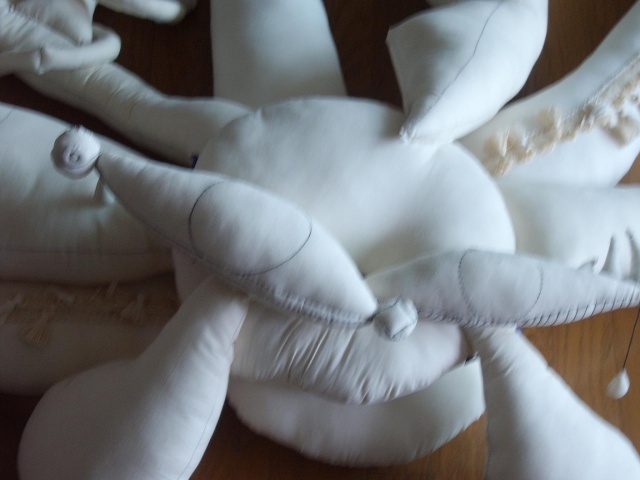 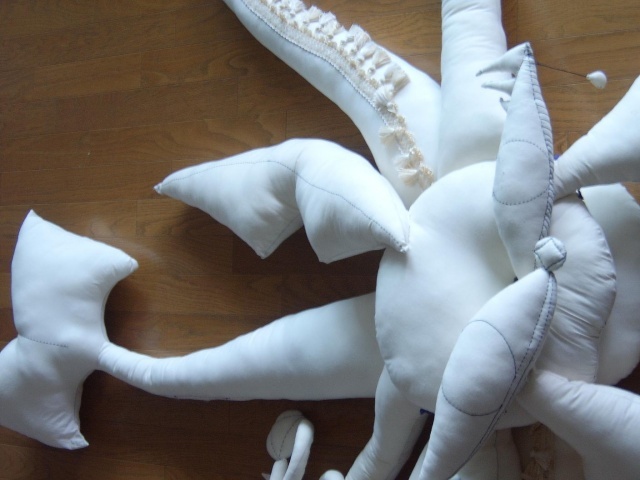 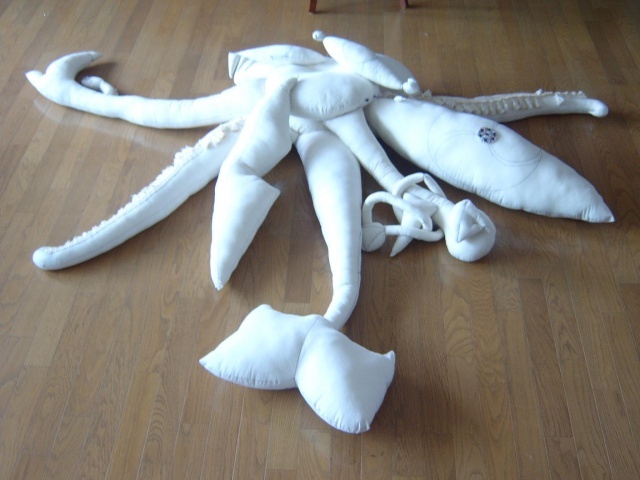 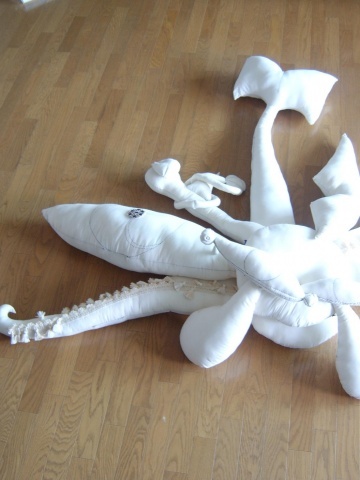 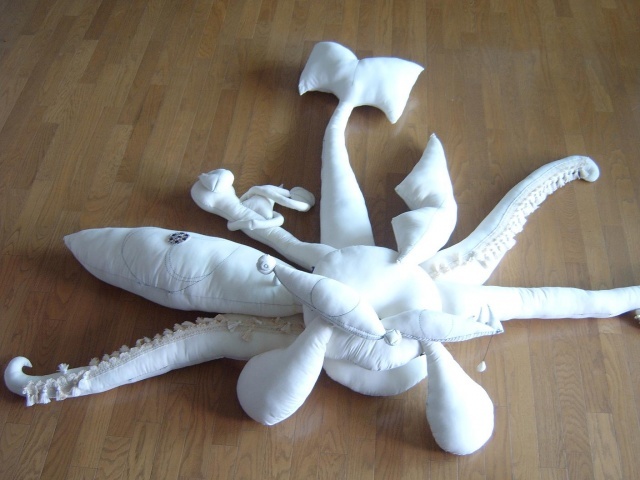 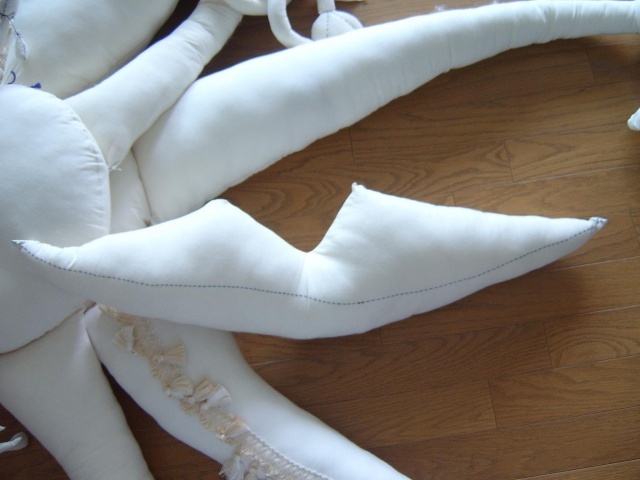 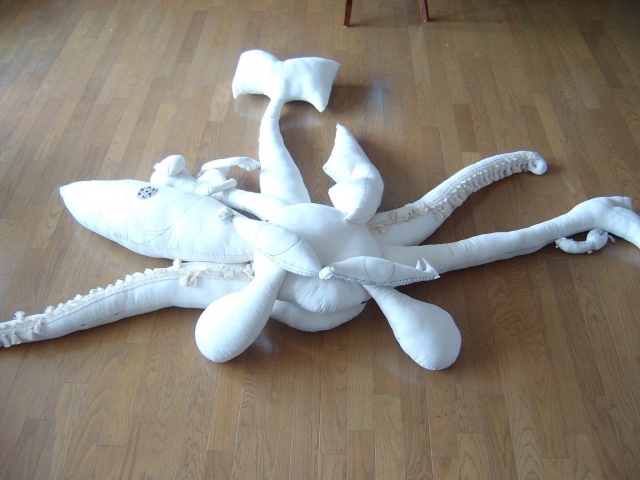 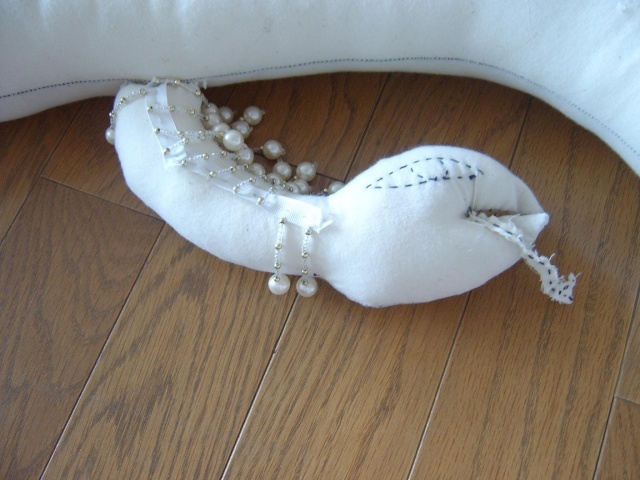 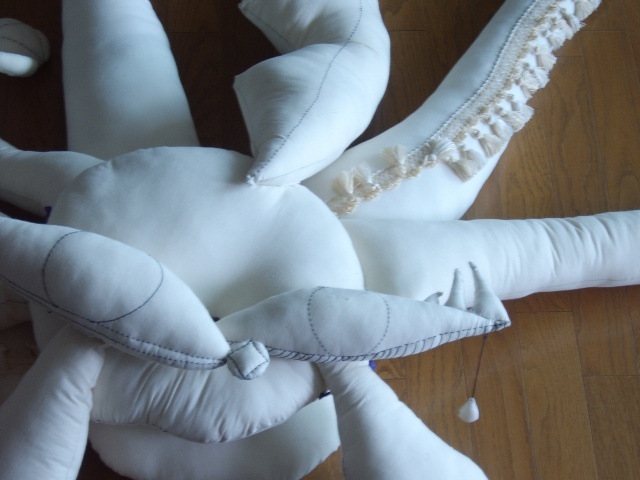 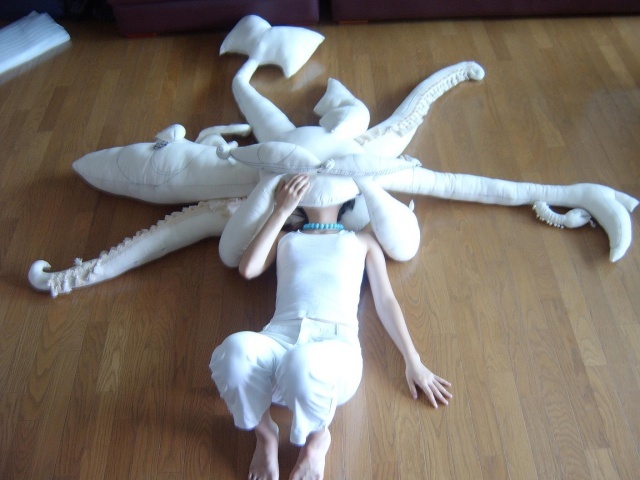 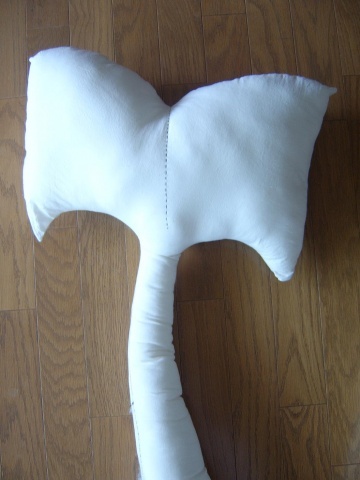 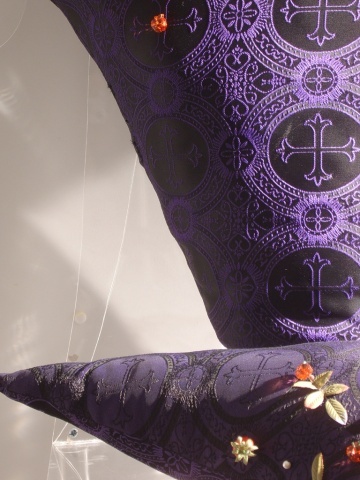 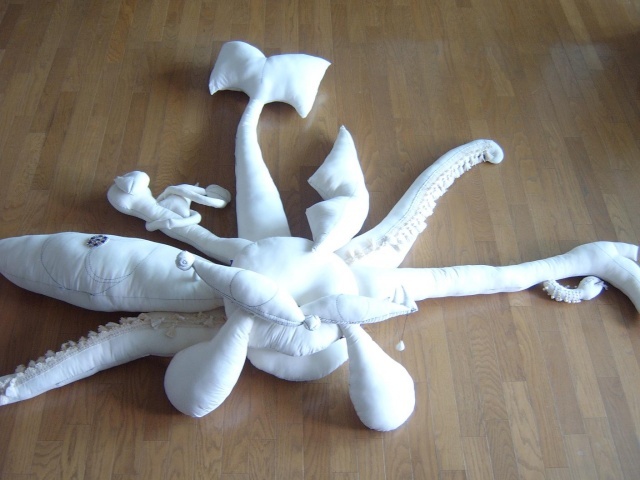 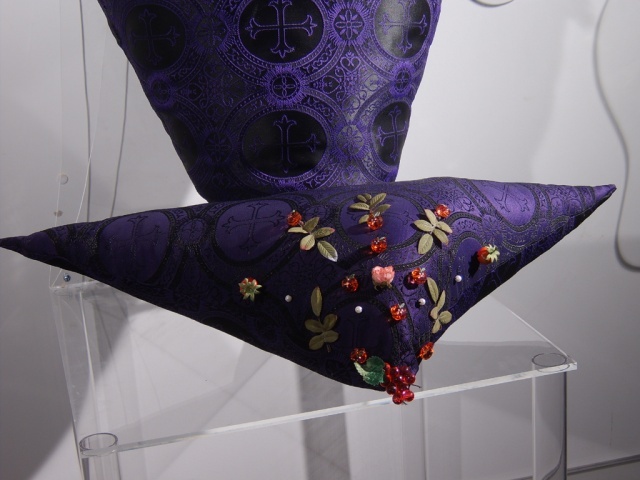 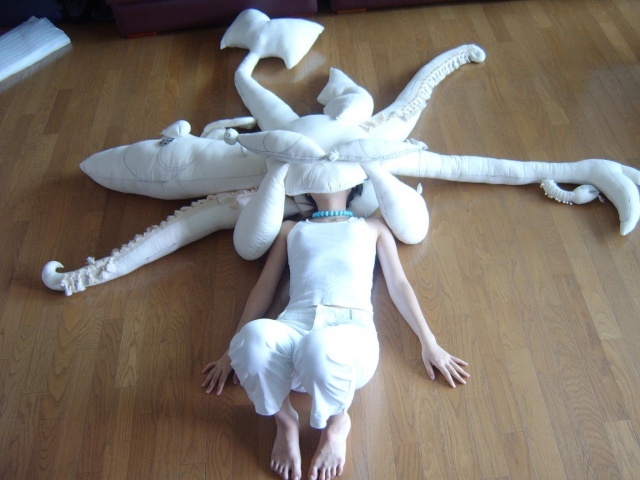 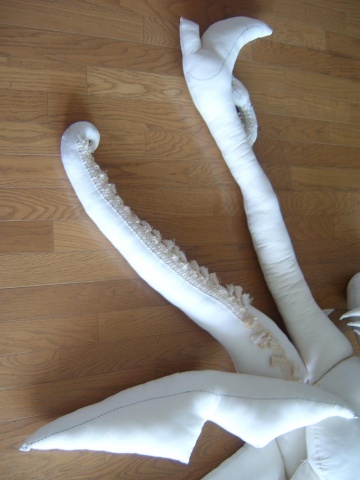 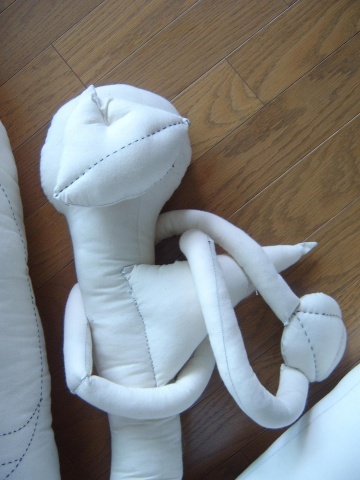 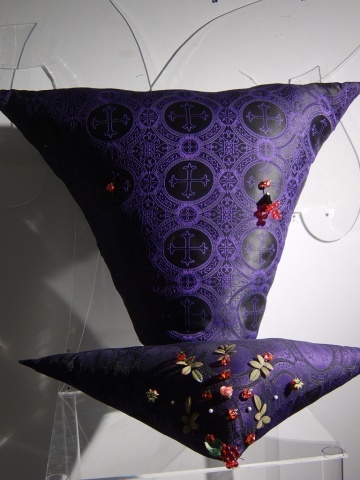 I am going to make the Squid Woman out of cushion, so it will be a costume as well as a fiber sculpture. 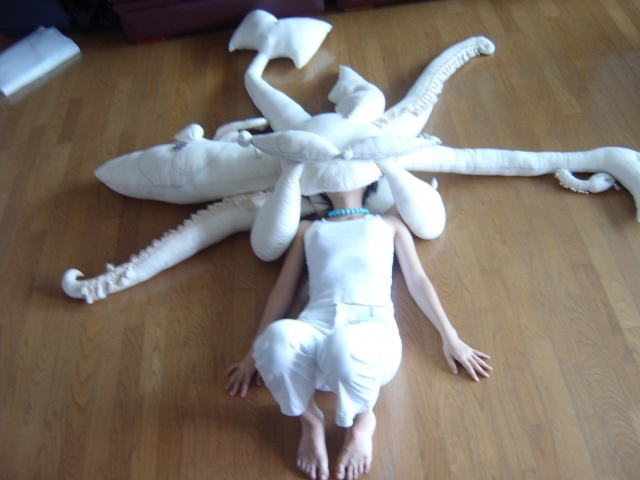 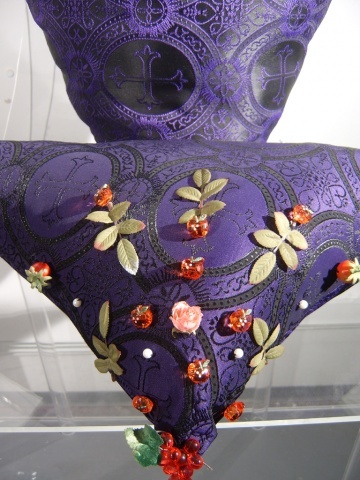 I will wear the heavy sculpture and do a performance in the red rain. 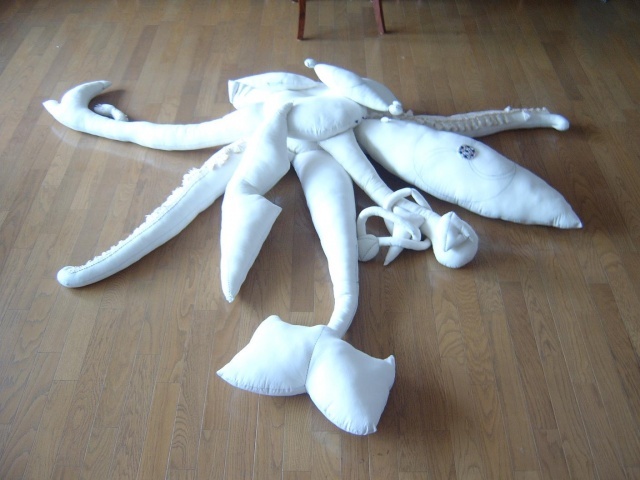 Lying down on the table, I'll wriggle like my burning desires, and suffer by the weight of the squid-costume, which will press me heavier and heavier in the red rain. 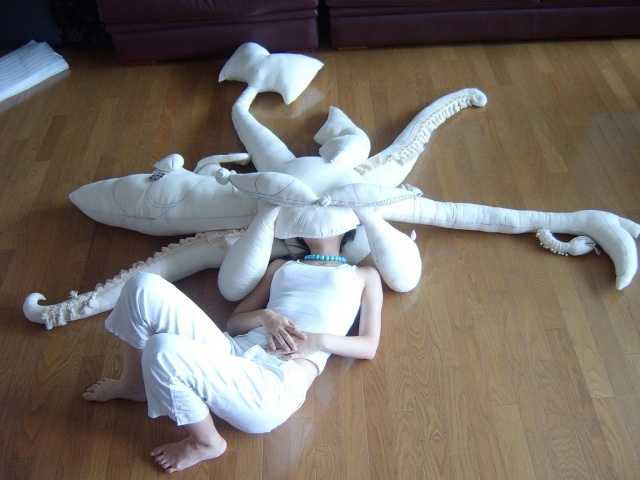 In my Wine-Lake and Meat Forest where only selfish animalistic desires exist, I'll become Jesus. 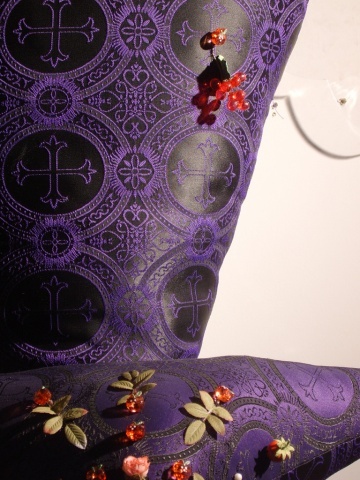 As an incarnation of desire, I'll distribute my flesh and blood to the guests in my garden. 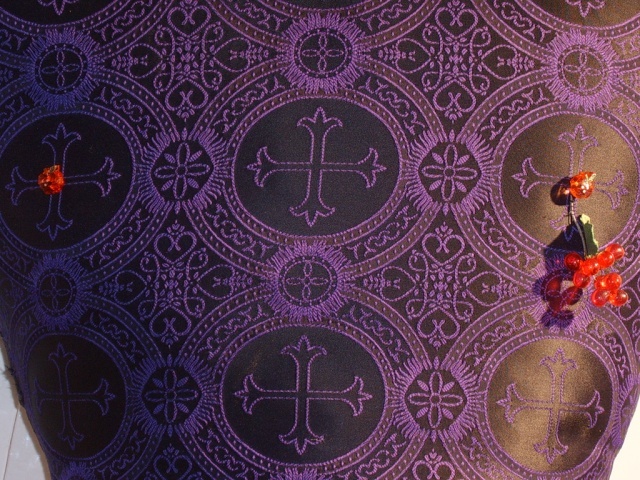 The bread, just popped out of the toasters on the table is my flesh, and the red wine that pours like rain is my blood.